In the first true run-a-way vote this season, the Hit Hard gang and the Crusader Crazies surged ahead and earned the right to host this weeks "Prep Destination" segment on NBC 5 News Today. Brother Rice will travel to Downers Grove South on Friday night in IHSA Class 8A 2nd Round action. The Crusaders will be trying for its first appearance in the quarterfinals in three years, while the Mustangs are hoping to return to the 3rd round after a year absence. This will be the first appearance for either school in the Prep Destination feature for football. The Mustangs were last featured in February when the varsity hoopsters entertained Proviso East in a matchup of Top 15 teams. NBC 5 News Today will bring its cameras to Downers Grove South High School early Friday morning to highlight their game. 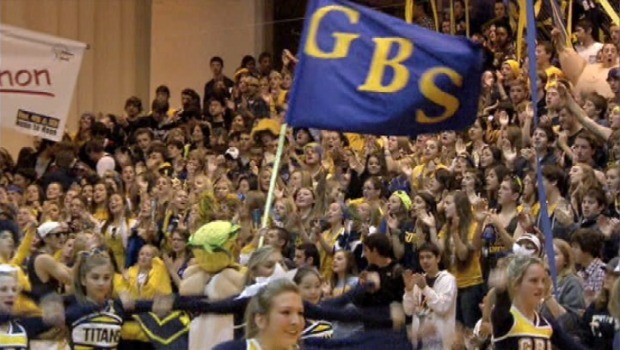 We ask fans to be energetic and show Chicagoland what true high school spirit is all about! For information on how you can participate in the morning tailgate, visit the school's website. This seasons' match up features a pair of dynamic running backs. Central Michigan recruit Martez Walker rushed for 183 yards and 3 touchdowns in Brother Rice's 35-14 win over Sandburg to become the school's single-season touchdown leader (19). Josh Williams collected 158 yards and a touchdown in a 37-24 win over Naperville North. For the season, he has picked up more than 2,000 yards on the ground. After the game, look for highlights from Downers Grove on "High School Lites" on Comcast SportsNet. Also, check out the broadcast of Crystal Lake South at Carmel on Saturday at 12PM on CN 100. Finally, don't forget to look for the IHSA Football Championships from Champaign, LIVE on NBC Chicago Nonstop (Comcast 341, RCN 50, WOW 130) Thanksgiving weekend!